FROM R2385 PER UNIT p.p. 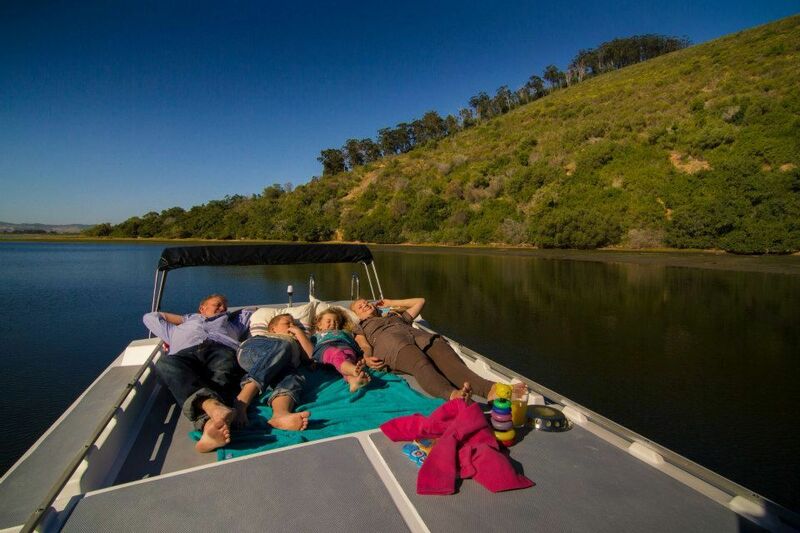 Hire our fully equipped luxurious self-drive houseboats and let time float by whilst you spend your holiday gently cruising along. No skipper's license or experience required! 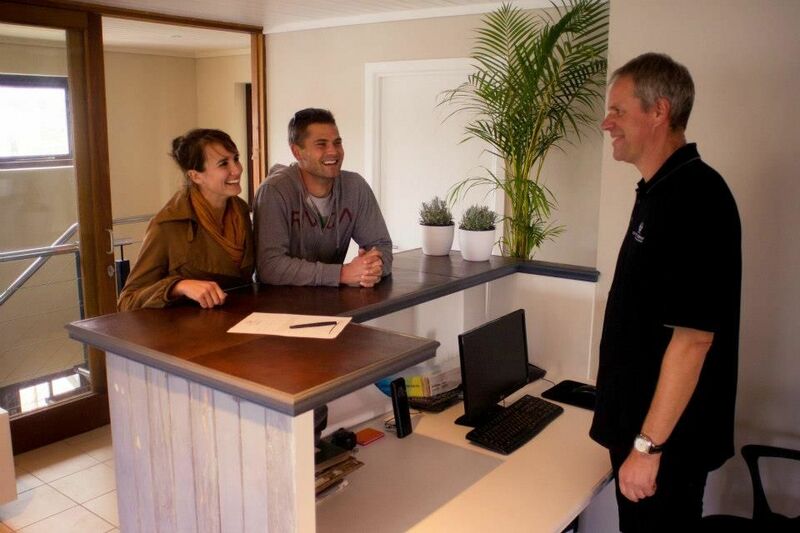 Our newly refurbished Houseboats exceed all South African Maritime Safety Authority operational and safety requirements. 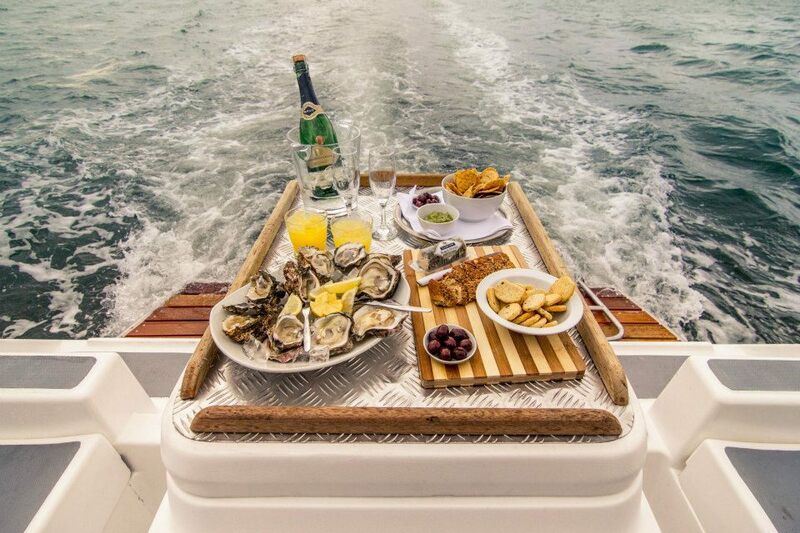 They are your floating home away from home. We have outfitted them to a high specification, so it is truly a comfortable experience. 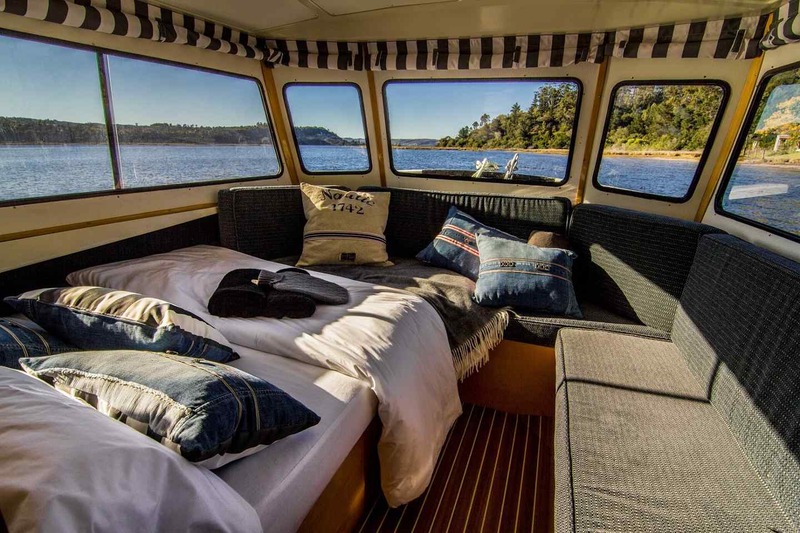 - Fore-cabin with a double bed, storage space and bench seat that doubles as a child’s bed. 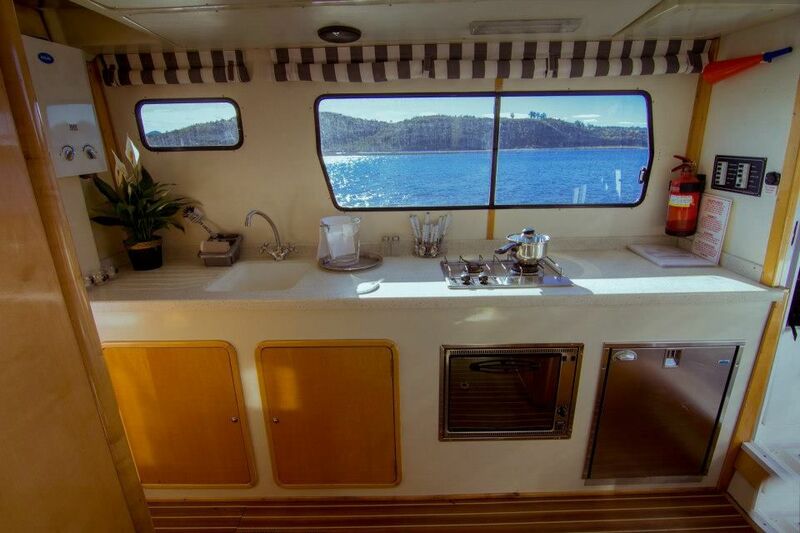 - Fully fitted galley (kitchen) with stove, oven, electric fridge, sink and all kitchen utensils, crockery and cutlery. - Compact heads (bathroom) with a hot shower, chemical toilet and basin. 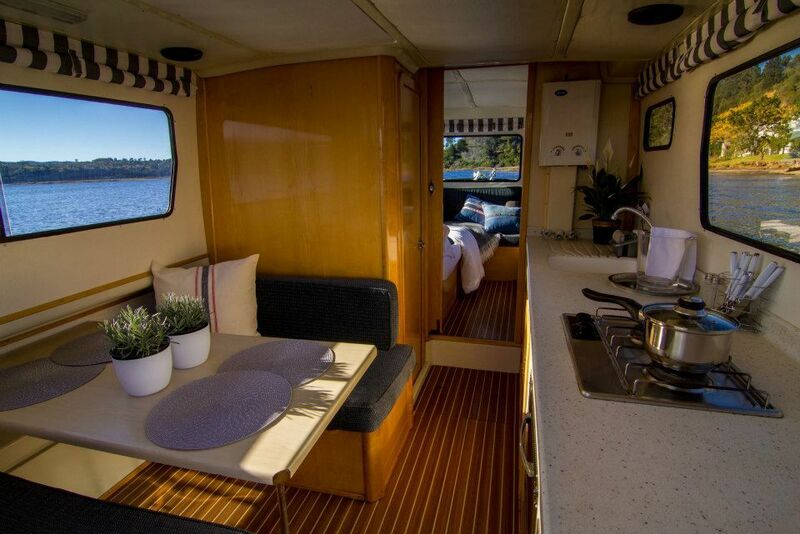 - Comfortable inside dining area that simply converts into a double bed. - Safety equipment, including life jackets, first aid kit and fire extinguisher. 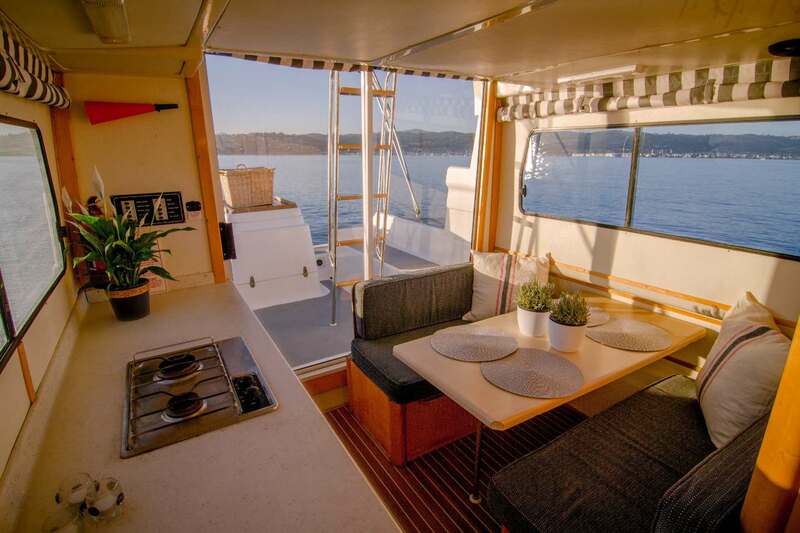 - Open lounge deck with a bimini. - Barbeque for the one that didn’t get away. 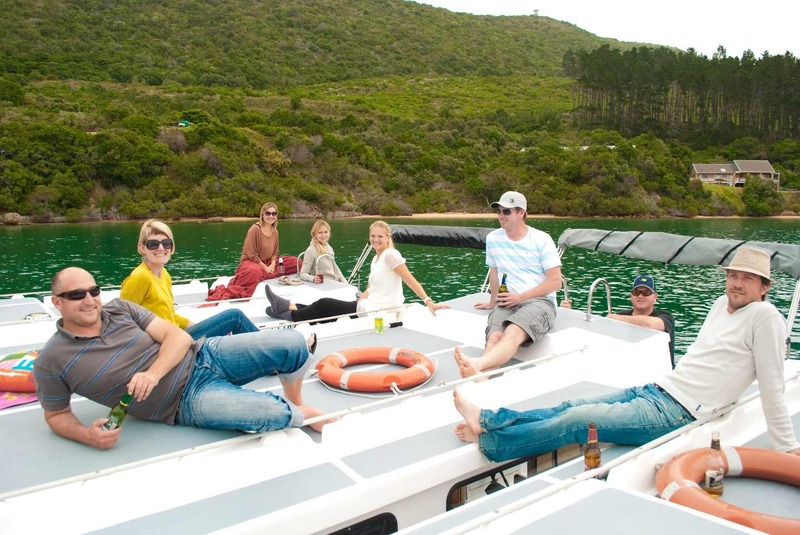 - Roof top sundeck with plenty of space for all passengers to sun bath and enjoy the panoramic views. - We offer all captains a short navigational course. 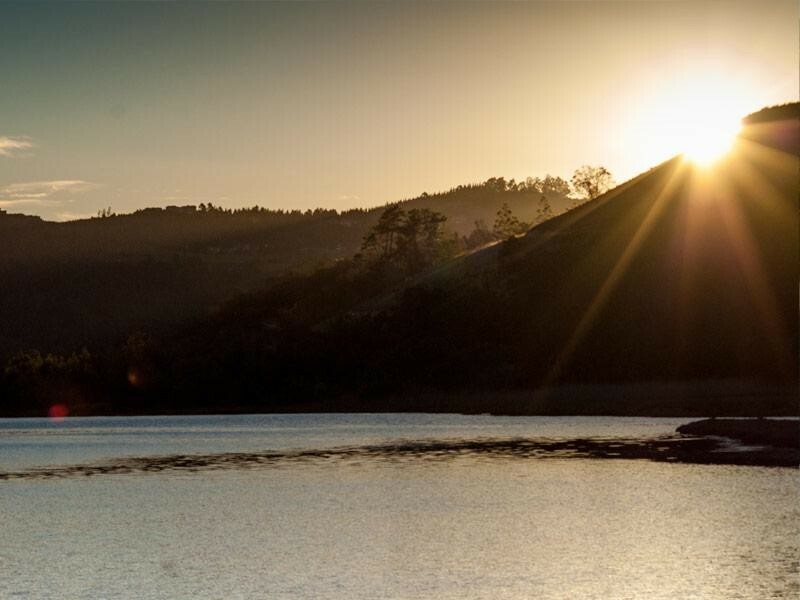 - Pilots that help you feel at ease and park your boat. - Bathrooms with shower cabins and vanity. - Covered terrace overlooking the estuary where you can relax and have a drink. 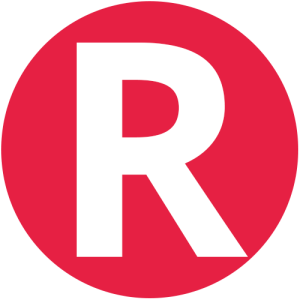 - Renting of portable DVD-players, fishing rods and tow-able tubes. 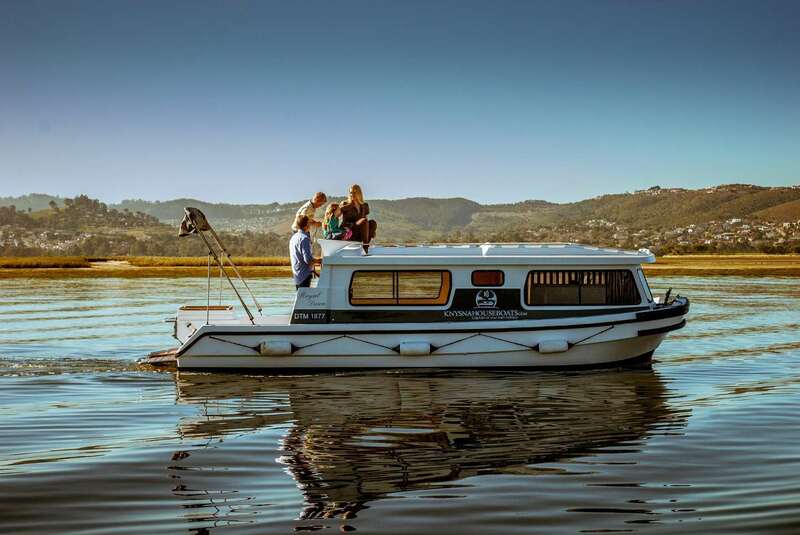 - Houseboat services that are carried out at a designated jetty and include the following: fill up with fresh water, re-fuelling (if required), cleaning and pumping of toilets, check motor cooling system and oil level, rubbish removal and re-supply LP Gas (if required). 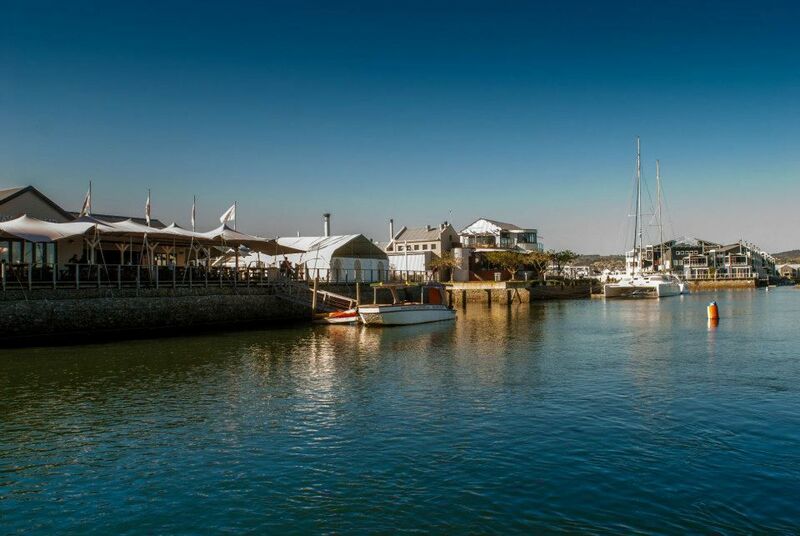 Our new charter base is located in sophisticated Thesen Islands Harbour Town, which is a multi-award winning marina development located in the scenic Knysna Estuary. 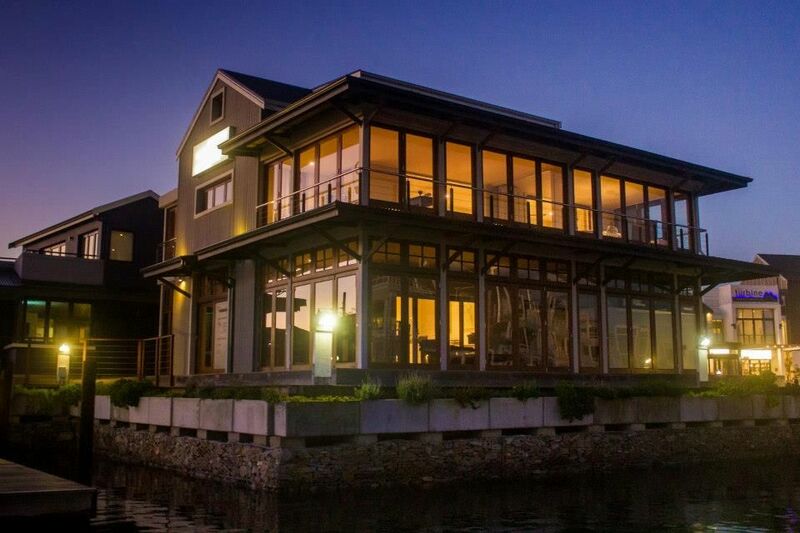 It is within walking distance of the Waterfront, yacht harbour and town centre of Knysna, one of South Africa’s most picturesque and popular coastal towns. 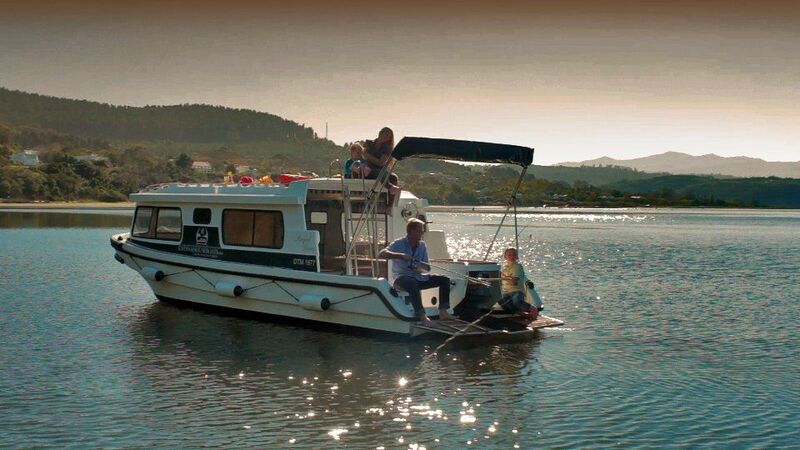 Description: Our luxurious self-drive boats have everything you might need and are your floating home away from home. Please Note: Rates are for 2 people sharing, there is an extra rate charged for the third, fourth and fifth person. 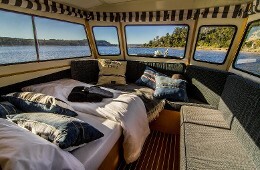 "Mike and I spent two awesome nights on the houseboat. We were welcomed by friendly, efficient staff who took us through all the ropes. 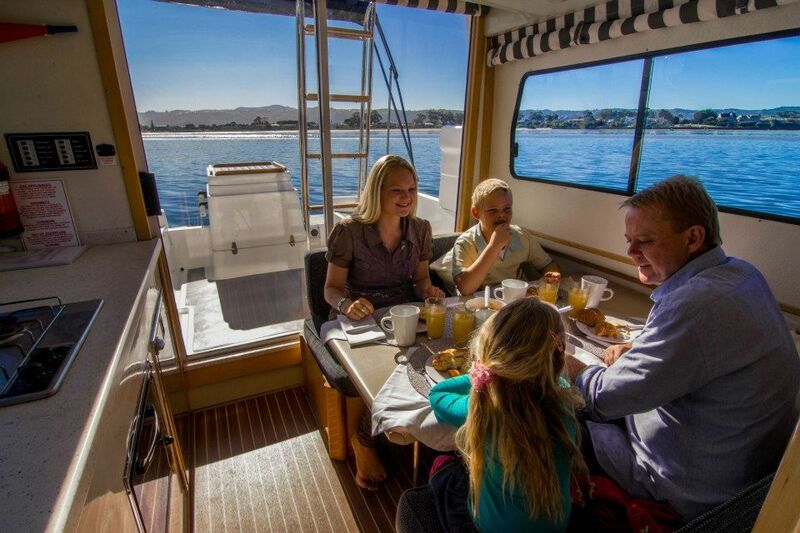 We would highly recommend Kynsna Houseboats to anybody wanting to get away from it all for awhile. "Friendly staff always ready to assist from booking to checkout.Will definitely be back.My only complaint is that the stay was to short!" On exiting George Airport turn right towards the N2 and at the N2 take the left slipway to Knysna. 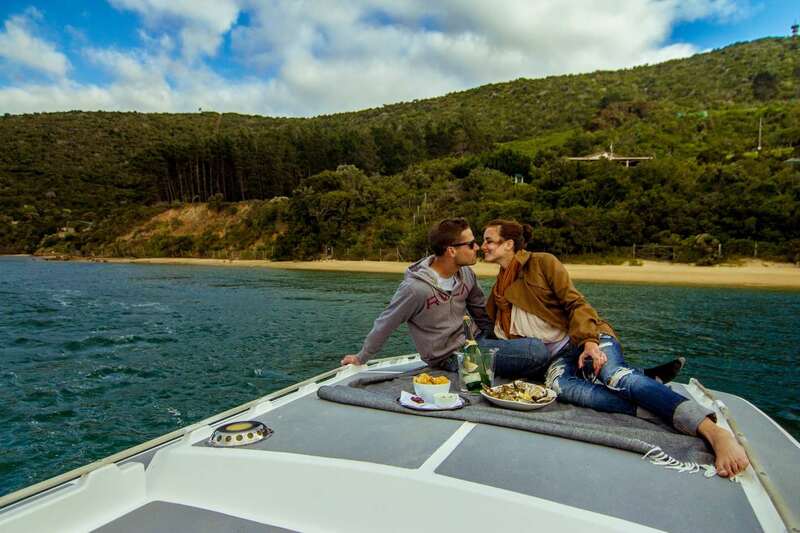 Drive along the N2, passing through Wilderness and Sedgefield until you reach the town of Knysna. After entering Knysna turn right at the 3rd set of traffic lights into Waterfront Drive. Proceed along Waterfront Drive (railway line on your right), and pass through a set of traffic lights, passing the Waterfront on your right. Turn right at the next set of traffic lights into Long Street (note 'Builders Trade' on your left and Tait Marine across the road on the right hand corner). Proceed over the railway line and across the causeway and bridge onto Thesen Islands. 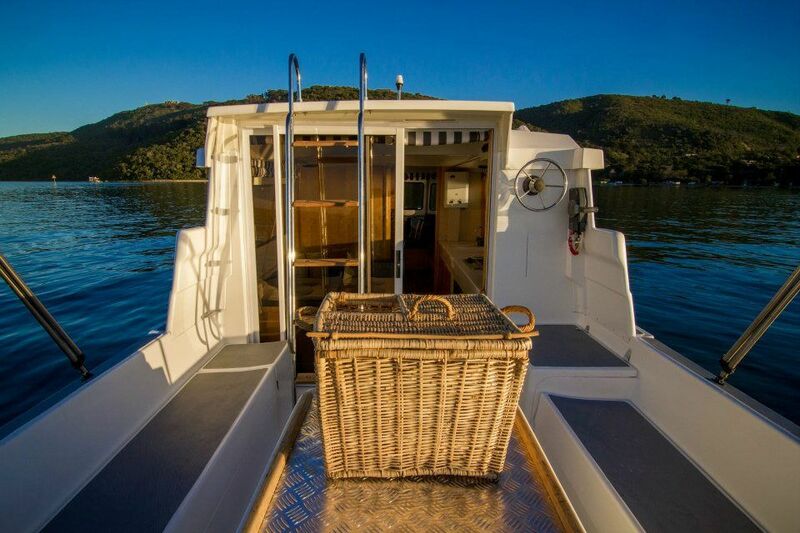 Once on Thesen Islands continue until the roundabout and you will find Whet Restaurant opposite the roundabout where we look forward to welcoming you. Take the N2 towards Knysna. After entering Knysna turn left at the second sets of traffic lights into Waterfront Drive. Proceed along Waterfront Drive and turn left at the first set of traffic lights into Long Street (note 'Builders Trade' on your right and Tait Marine across the road on the left hand corner). 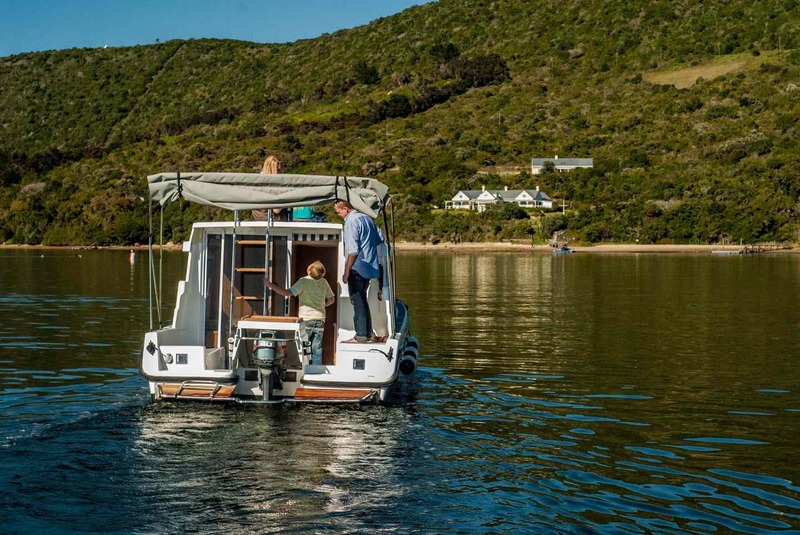 Contact Knysna Houseboats directly. Send them an email.